Many an experienced angler has been left weak kneed following the crash, bang, snap of a “Jack Attack”. 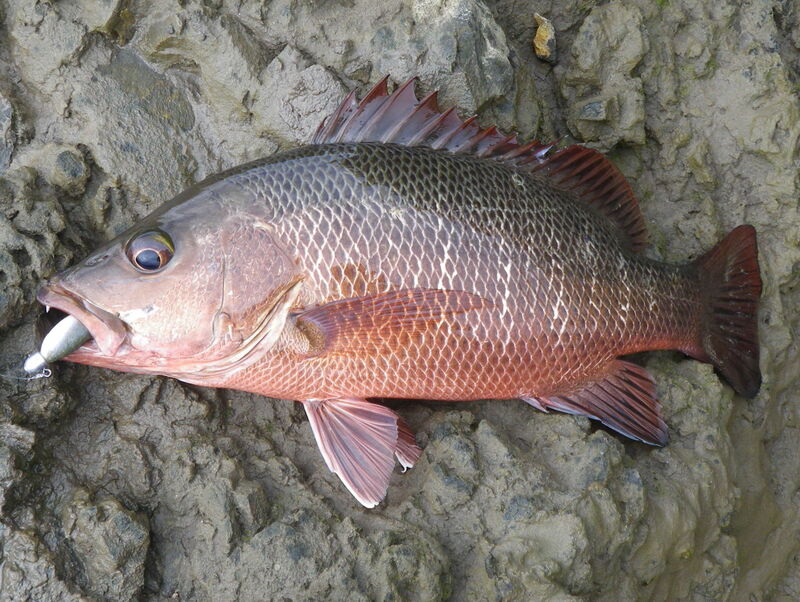 Mangrove Jacks, as the name implies, are found in all of our tropical coastal tidal mangrove estuaries, salt water creeks, rockbars and mangrove beach areas. After heavy rain fall, good specimens to 50cm can also be caught many miles upstream in our rivers amongst the weed beds and structured areas. 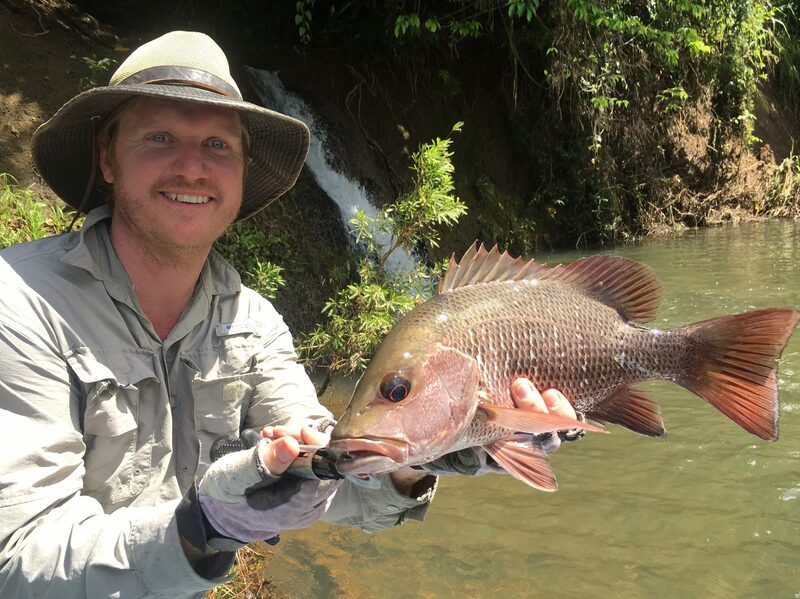 Juvenile specimens are present throughout the full length of our rivers all year round and will readily hit large lures meant for Barramundi. 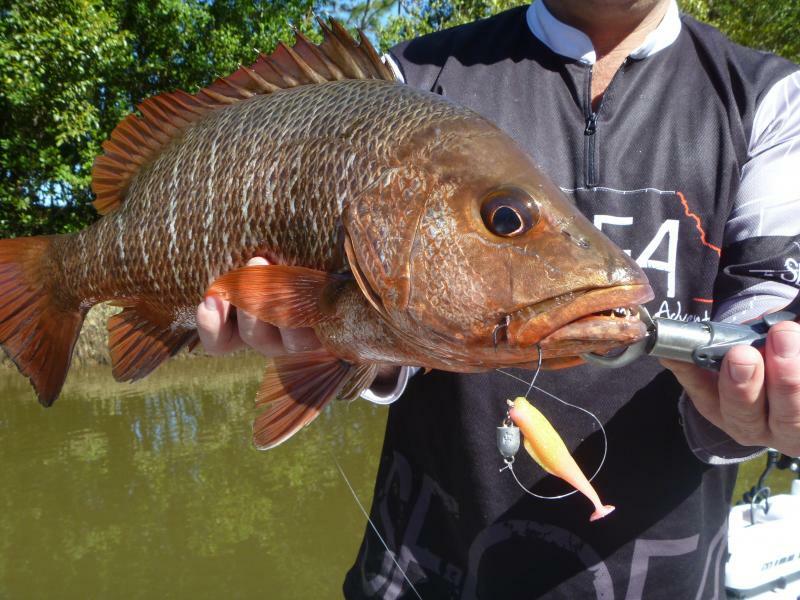 Lure fishing for Jacks is a favourite pass time of local and visiting anglers to Tropical North Queensland. A sturdy baitcasting or spinning outfit loaded with 6-8kg line accounts for many captures of these much sought after and very respected fish. The “Tropical Assassins” are structure dwellers and ambush their prey with a vicious attack on anything passing close enough to its lair. With a powerful sweep of their broad tail they will actually swim past the “food” and hit it going full pelt back to its home. If the anglers reflexes are a bit slow, or the line a little slack, or the outfit too soft to handle this sudden surge, its all over in a split second. Good bye Jack and good bye lure. Casting must be spot on however, 6 inches from the target snag is required, and with all the inherent dangers mentioned above, Jacks are still pursued with a passion. 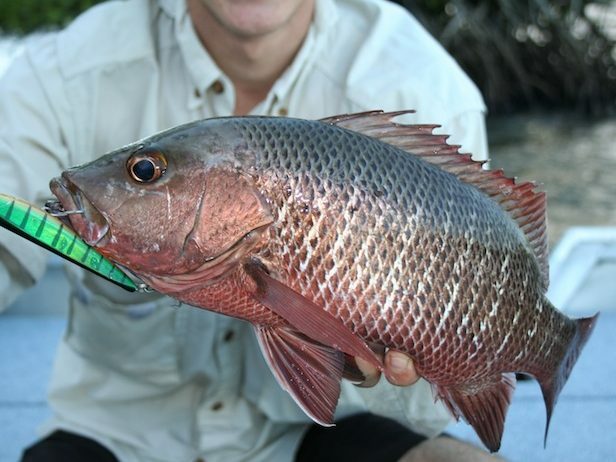 As with Fingermark, another member of the Lutjanus family, Mangrove Jacks are prime eating. 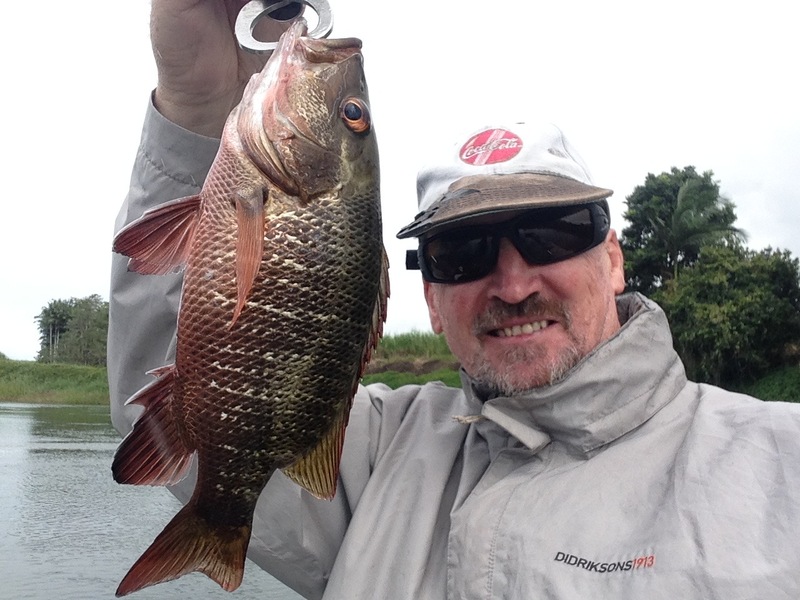 Estuary fish do not appear to grow much bigger than 50 cm and a 5lb specimen is considered a great catch and great sport. Upon reaching this size jacks migrate out to the Great Barrier Reef and much larger specimens can be caught there on bait. A 22lb Jack was landed during a fishing charter on one of the reefs out from Cairns and nobody could believe the size, and fight, having grown up with their much smaller brothers. 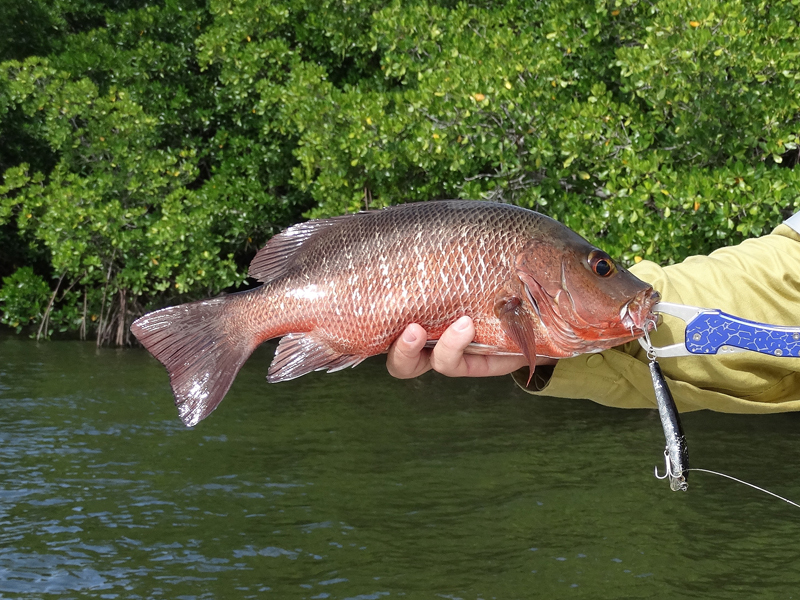 Best caught during the warmer months, Mangrove Jacks can be found all year round and although being great sportfish opponents, many fish are caught using standard bait fishing methods, rods and handlines proving popular to the bread and butter fisherman. Size limits apply.